A class is a blueprint or model based on which object is defined. A class cannot exists in real world but object can. A class is a physical idea where as object is an instance of the class. An object is an entity that is having state and behavior or simply we can say object is anything that exists in the real world. An object will have properties and actions. 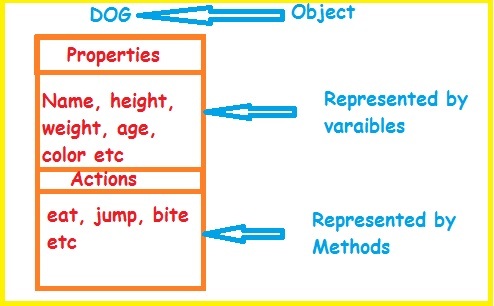 Properties are represented by variables and Actions are represented by methods. If you take a dog it will have properties like name, height, weight, age and actions like barking, running, biting etc. We can't create a object without a class. JDBC or any such type of things you might be asked. And if you are an automation experrise then you will be asked for system test also, where you need to sit and solve the given task or write code for that one. Here is the list of Java Concepts I would like explain in detail which is useful for especially for test engineers. The data in SQL Server is stored in the form of data pages. The size of each data page is 8kb. The data page contains the page header which is 96 bytes. The header will have previous pointer (PP), object id, next pointer (NP). The previous pointer pointing to the previous page, this value is NULL for first page. The next pointer pointing to the next page, it’s value is NULL for the last page. In SQL Server Data will be accessed in two ways. Table Scan : It starts from beginning of the table and scan each and every page for required data, it extracts the rows to meet the query criteria. Using Index: When index is created for a table, it travels through index tree structure to determine the required rows and extracts the rows which will meets the query criteria. The functions created by the user are called user defined functions. The functions which return scalar (single value) to the calling environment are called scalar valued functions. Aggregate functions will acts group of values at a time and returns a single value. It is also called Group functions. Aggregate functions will ignore NULL values while calculating. Here is the sample emp table using for solving examples. Sum is used to find the sum of values in a column. Example:Write a query for find the total salary of emp table. 2. Avg: Avg is used to find average values for given values. Example:Write a query for find the average salary of emp table. A function is a predefined programming segment specially used for specific and well defined task. These scalar functions will take single value as input and returns a single value. We will concentrate on first three functions now.